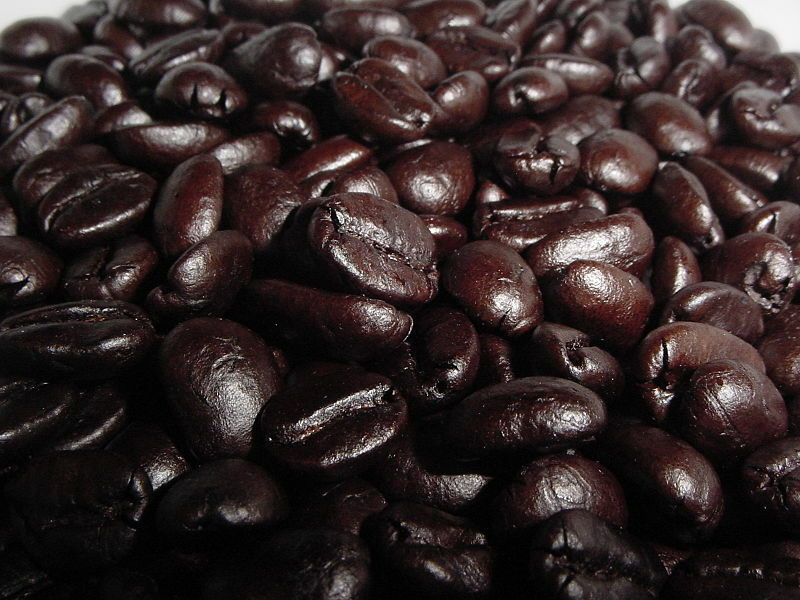 I seem to be posting a lot about coffee lately…..I guess I’m slightly addicted. I have cut down to about 2 cups a day….ok, they are Americanos, so that may be equivalent to about 4 cups! Anyways, I’m all about a really GOOD cup of coffee. If it isn’t good, I’m not going to waste myself. I’ve been told I make a good cup of coffee too…what’s my secret? Safeway whole coffee beans. 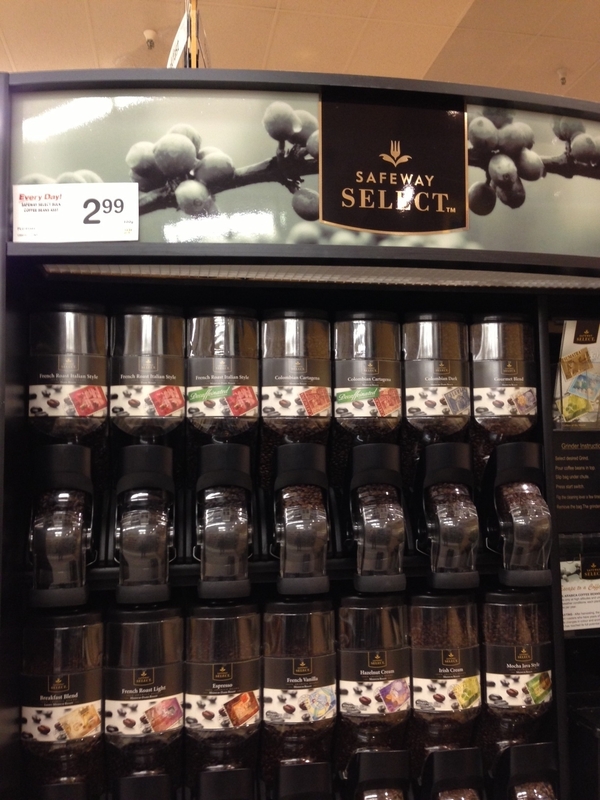 Sorry Starbucks…I’ve been buying Safeway beans for years and everyone comments on it. Lately I’ve been shopping a lot at Walmart and have purchased other whole bean coffees…it’s not the same…even ground fresh. Safeway Select French Roast Italian Style Dark Roast $13.57/pound (compared to Starbucks which ranges from about $15.95-$17.95/pound). It’s sold in bulk. The French Roast Italian Style is on the upper left side. It’s perfect for espresso machines, drip machines and Bodums…always grind fresh for the best cuppa joe!